MASSIVE VOODOO: Minibusts now available at Masq Mini ! Hello dear jungle friends ! I'd like to proudly announce, that the mini busts that were made for Massive Voodoo last year are now available at the Masquerade Miniatures shop. 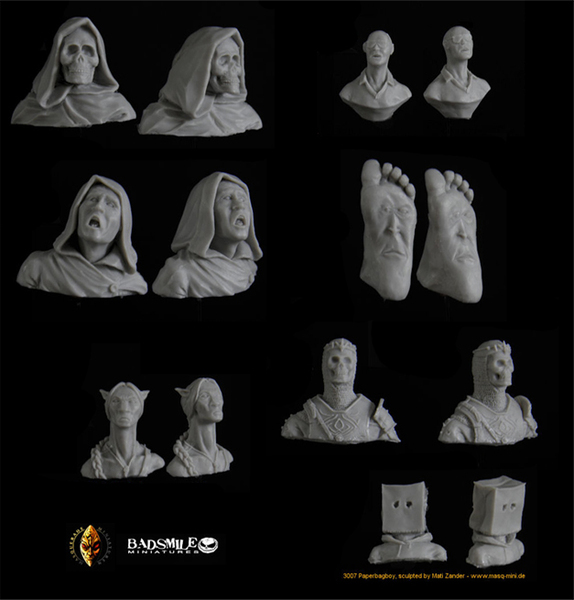 You will find the busts in the Badsmile Minis section. Make sure to check all the other great news o Masq Mini too ! There are 5 Kommentare for Minibusts now available at Masq Mini ! Paperbag-boy is my personal super-hero! Great news! Le Füss - love it!